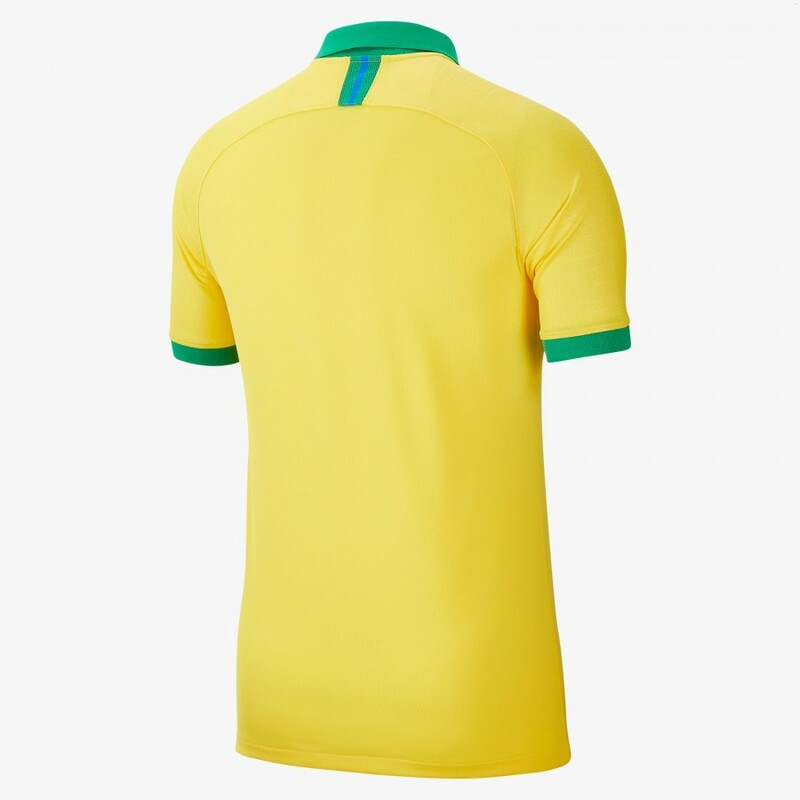 It's one of the most recognized jerseys in the world, the famous yellow of Brazil. 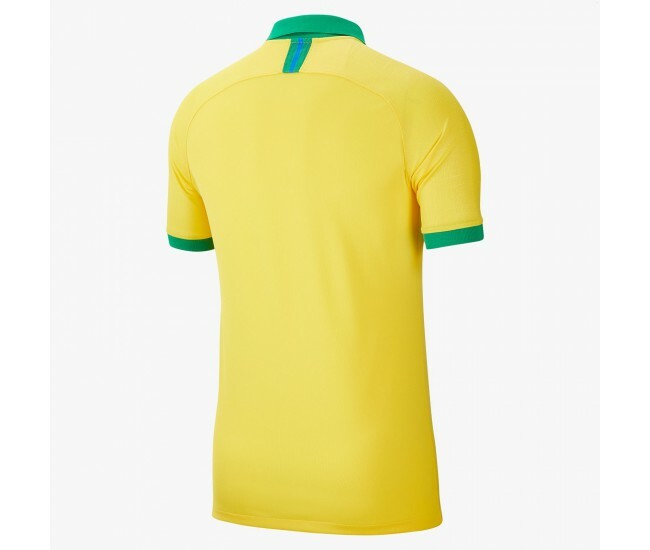 For the new home jersey, Nike matched the exact yellow used for the 1970 jersey, the year when games were first televised in color and the year when Brazil won its third World Cup. Dubbed "Samba Gold", the bold color matches a bold style of play. Green lines the collar, and joins third color blue on a knit strip on the back of the neck. Inside the collar is printed the globe from the national flag. 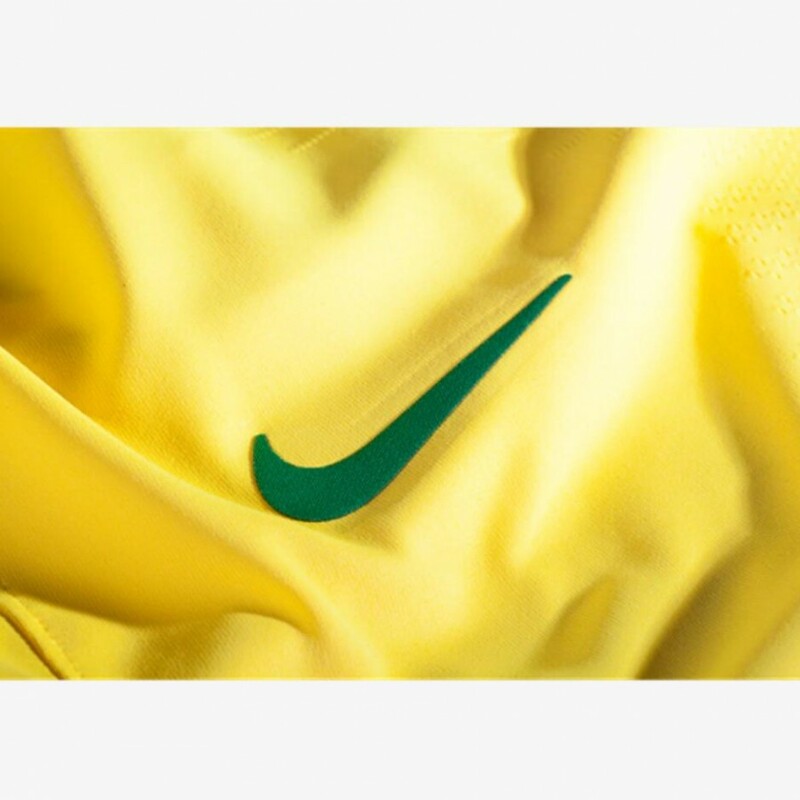 "Voce E A Selecao" (" Your Selection") circles the globe. The authentic jersey is made with the new Nike Fast Fit Vaporknit. Created for maximum breathability, the fabric is lightweight, with an open-hole texture at targeted heat map areas for increased airflow. Engineered yarn on the sleeves. Built in ribs on the inside reduce cling.